The Phoenix USA Dance Chapter #4033, a non-profit 501 (c)(3) organization) is small, but mighty. Our mission is to educate the public to the physical, mental and social benefits of ballroom dancing. Our outreach programs, social dances and annual competition are the primary means through which we move that mission forward. One of our goals is to continually improve and expand our annual Phoenix DanceSport Challenge competition. For 2019, we are facing that challenge by expanding from a single day competition to a TWO DAY event, providing Amateur/Amateur entries on Saturday, March 23rd and Teacher/Student entries on Sunday, March 24th. The decision to expand from a single day to a two day event nearly doubles our expenses. While we are prepared to face this challenge head-on, we are seeking support in the community to help us reach our expansion goals. Monies raised will go towards providing scholarships in Pre-Teen/Youth and Collegiate/Adult/Senior divisions to reward them for their efforts. Funds will also be used to offset increased operational expenses as a result of our expansion. 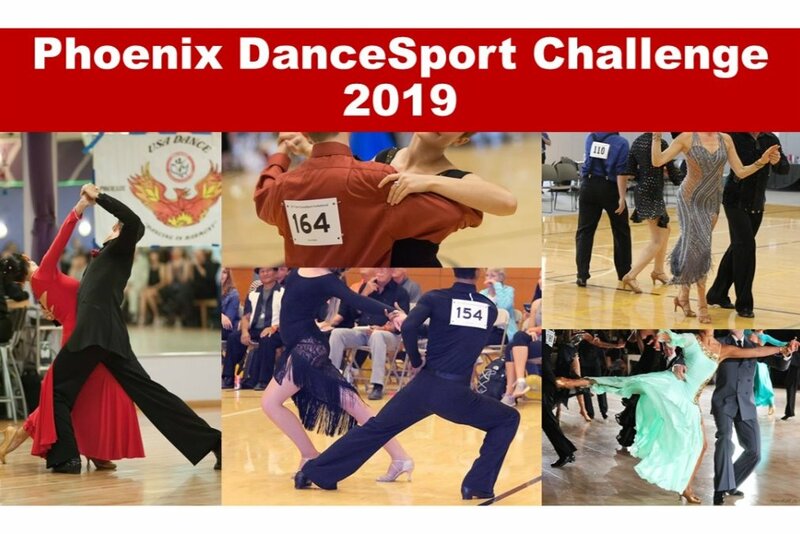 We look forward to another successful Phoenix DanceSport Challenge in March 2019 and greatly appreciate any support you can provide towards ensuring that success.